This Election: The Rajya Sabha MP was among the only BJP titans to lose, defeated in Amritsar by over 1 lakh votes. 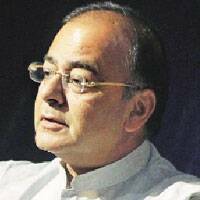 Journey To Cabinet: A senior Supreme Court lawyer, Jaitley was additional solicitor general, Government of India, in 1989-90. He has been a Rajya Sabha member since 2000. The 2014 Lok Sabha polls was the first time he contested a direct election. This Election: Won from Vidisha, by 4.10 lakh votes. Journey to cabinet: Began her political career from the Haryana assembly with wins in 1977, 1987. 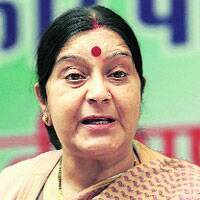 She was elected to the Rajya Sabha in 1990, and in 1996, entered the Lok Sabha from S Delhi. Previous Ministerial Record: In 1977, became the country’s youngest cabinet minister in Haryana at age 25. Was I&B minister during 13-day Vajpayee government of 1996 (started live LS telecasts), as well as the NDA government of 1999. Health and Parliamentary Affairs in 2003-2004 . Also a former Delhi CM. This Election: Fought and won his first ever direct polls, from Nagpur, by more than 2.8 lakh votes. Journey To Cabinet: Has strong RSS backing and is considered a politician with an urban base. Throughout his stint in Maharashtra politics, he was an MLC (1989-2008). 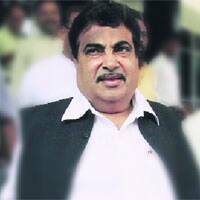 Previous Ministerial Record: Became Maharashtra PWD minister in 1995, in the Shiv Sena-BJP government. The Mumbai-Pune Expressway and 55 flyovers in Mumbai came up under him. This Election: Won his sixth straight election from Bangalore South, defeating Nandan Nilekani of the Congress by 2,28,575 votes. Journey To Cabinet: The BJP general secretary is an Advani loyalist and on good terms with Modi. He became president of the Karnataka state unit of the BJP in 2003 . Under him, the party also won the highest number of Lok Sabha seats in Karnataka in 2004. Previous Ministerial Record: Was civil aviation minister, also handled Urban Development, Tourism, Culture, other ministries. This election: Shifted to Deoria against his wishes, won. Journey to cabinet: An RSS pracharak from Gorakhpur, he spent 45 years in UP Legislative Council (1986 to 2001) and Rajya Sabha (1978, 2002, 2006), this was his first LS election. Has been UP BJP chief a record four consecutive times. Manohar Parrikar was born in a Gaud Saraswat Brahmin family at Mapusa, Goa. Ancestry from the nearby village Parra is indicated in his name "Parrikar." 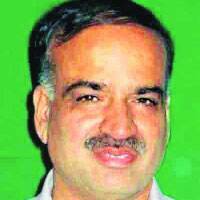 Previous Ministerial Record: Was cabinet minister (PWD, Health, Tourism) in UP’s BJP-BSP government of 1997-2000. Prabhu has been a repeatedly elected Member of Parliament from Rajapur Lok Sabha constituency in Maharashtra as a member of the Shiv Sena (SS) political party. He quit Shiv Sena and joined BJP on 9 November 2014. 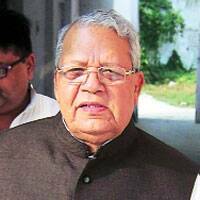 He presently represents Haryana in Upper House of Indian Parliament. He is a staunch follower of Rastriya Swayam Sevak Sangh (RSS) since childhood. He was actively associated with ABVP during his student career and thereafter joined Bharatiya Janata Party as an active member. Actively participated and managed previous eight elections of Lok Sabha / Vidhan Sabha held at Gautam Budh Nagar. Elected as M.L.A. from Noida Legislative Assembly Constituency, Uttar Pradesh in March, 2012. Elected as M.P. from Gautam Budh Nagar Parliamentary Constituency, Uttar Pradesh in May, 2014. Prakash Javadekar - (born January 30, 1951) is an Indian politician and Member of Parliament Rajya Sabha and a leader ofBharatiya Janata Party (BJP). He was elected to Rajya Sabha from Maharashtra in 2008.